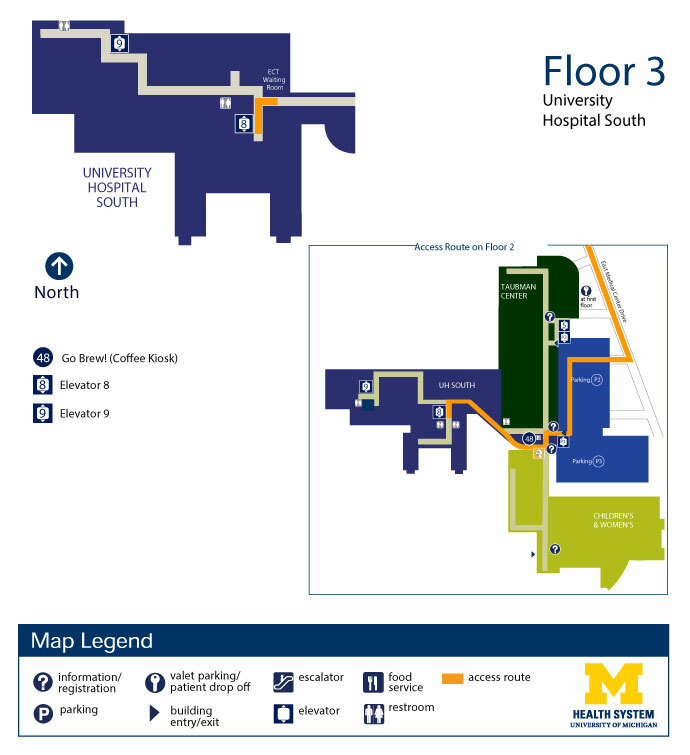 Parking for University Hospital South is in Parking Structure P2. Remember the level on which you parked. If you will be here for more than 4 hours, bring your parking coupon with you to your appointment to be validated at the welcome centers for a reduced rate. Locate the P3 elevators at the south end of the parking structure. Take the parking structure elevator to Floor 3.